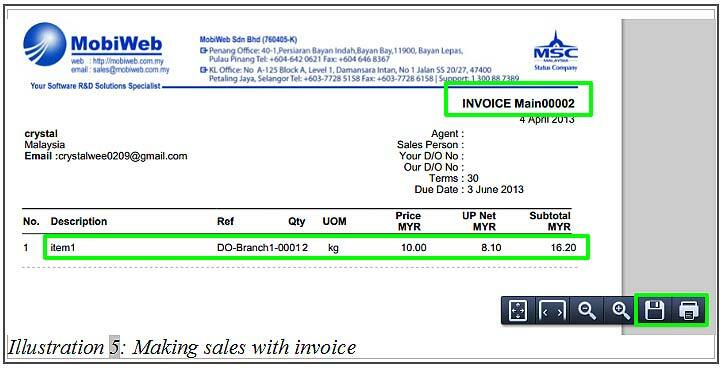 In BMO Online Inventory Malaysia, you can create professional invoices quickly and generate them as PDF. Making it easy for you to send the file to your customers or prospects. BMO Online Inventory Malaysia allows the inventory system flow to follow to your own company’s inventory setting. After your company decides the inventory system flow and starts to create sales, you are not able to change the inventory settings anymore. 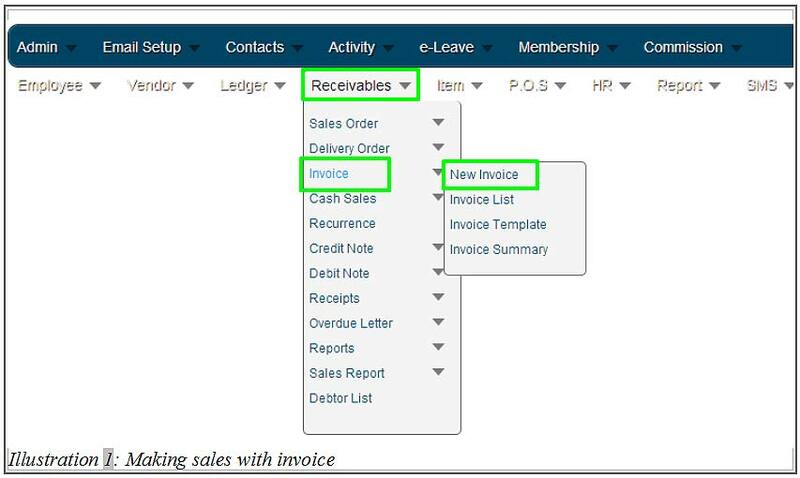 In this tutorial, we will guide you on how to use Invoice make sales. 1. Go to Receivables > Invoice > New Invoice. 2. Click the “…” box beside the Customer field to choose customer from the list. After that select the location of the item to be delivered from at Delivery from field. Choose your item from the “…” box beside the Item Code field. After that, click Add Item. 3. After clicking Add Item, your item will be displayed at the space below. At this point, you can give discounts or change the quantity of the item. When you have complete filling in the details, click Save. 4. You will be notified that the invoice has been successfully added. 5. 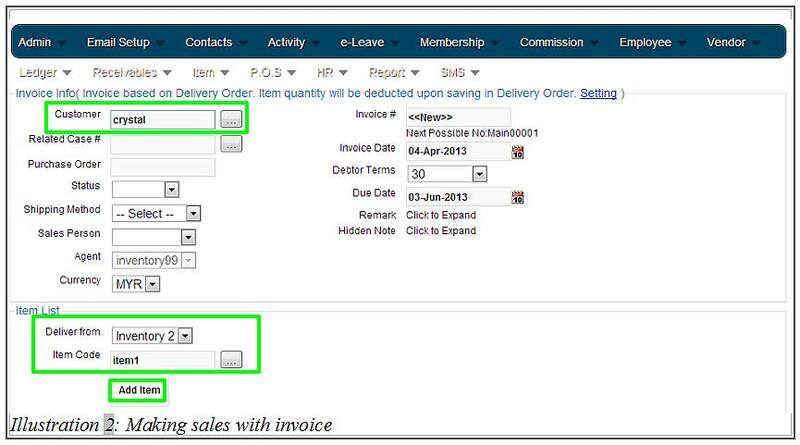 Immediately after clicking Save, system will automatically prompt an invoice in PDF format. You can either Save or Print the PDF format invoice.